Is Too Much Sodium Bad For You? According to the American Heart Association, the recommended sodium intake is no more than 1,500 milligrams of sodium each day, which is between one-half to three-fourths of a teaspoon. Sodium is an essential mineral and is vital to our health. It is so important that in ancient Rome, the Roman soldiers were paid partially in salt, along with other wages called salarium, which is where the word salary comes from. Sodium is essential for many vital body functions such as muscle contraction and body fluid balance. A study published in the New England Journal of Medicine estimated that the United States could prevent 44,000 deaths annually if Americans reduced their salt intake by 3,000 milligrams per day. 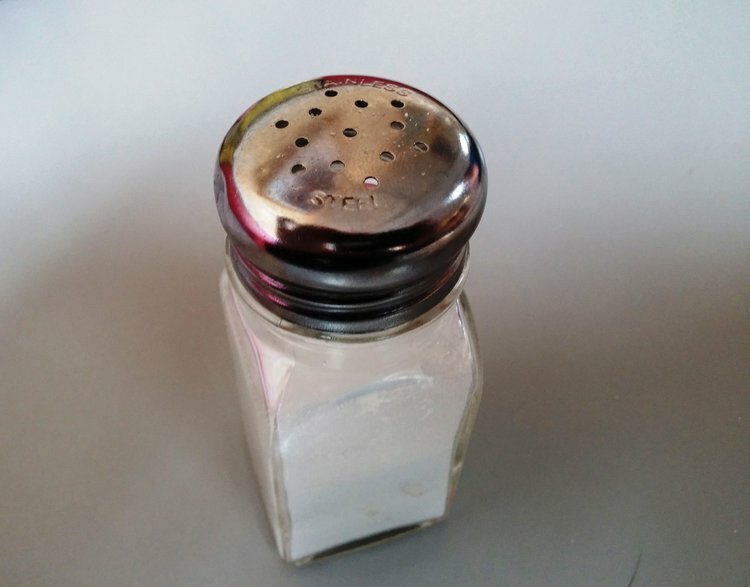 According to the American Heart Association, the recommended sodium intake is no more than 1,500 milligrams of sodium each day, which is between one-half to three-fourths of a teaspoon. However, since there is an over-consumption, several adverse health effects persist. According to the Center for Disease Control and Prevention, 68 million American adults have high blood pressure. One of the major contributors to high blood pressure is sodium. When an individual consumes too much sodium, the kidneys make more urine to remove the excess sodium. If the urine sodium quantity is very high, it puts a strain on the kidneys; in such cases, excess sodium may not be expelled. High blood pressure is the leading risk factor for death in women in the United States, responsible for approximately 200,000 female deaths per year. High blood pressure is a common condition, where the high pressure of blood against the arterial walls may eventually cause health problems such as heart disease. Individuals with high blood pressure may not experience any symptoms for many years, but may still be subjected to blood vessel damage and a strained heart. The link between sodium and high blood pressure is still being debated, though studies have found how to reduce high blood pressure. High amounts of sodium should be avoided because it leads to water retention that causes puffiness, bloating, and weight gain. Home food should always be preferred to foods from restaurants or from fast food joints, which contain high amounts of table salt. This can help you control the amount of sodium in one’s diet and will also prevent you from eating foods that are high in salt. Centers for Disease Control and Prevention (CDC. (2010). Sodium intake among adults-United States, 2005-2006. MMWR. Morbidity and mortality weekly report, 59(24), 746. Bibbins-Domingo, K., Chertow, G. M., Coxson, P. G., Moran, A., Lightwood, J. M., Pletcher, M. J., & Goldman, L. (2010). Projected effect of dietary salt reductions on future cardiovascular disease. New England Journal of Medicine,362(7), 590-599. Kotchen, T. A., Cowley Jr, A. W., & Frohlich, E. D. (2013). Salt in health and disease—a delicate balance. New England Journal of Medicine, 368(13), 1229-1237. Centers for Disease Control and Prevention (CDC. (2013). Trends in the prevalence of excess dietary sodium intake-United States, 2003-2010.MMWR. Morbidity and mortality weekly report, 62(50), 1021. Appel, L. J., Frohlich, E. D., Hall, J. E., Pearson, T. A., Sacco, R. L., Seals, D. R., ... & Van Horn, L. V. (2011). The importance of population-wide sodium reduction as a means to prevent cardiovascular disease and stroke a call to action from the american heart association. Circulation, 123(10), 1138-1143. Whelton, P. K., Appel, L. J., Sacco, R. L., Anderson, C. A., Antman, E. M., Campbell, N., ... & Labarthe, D. R. (2012). Sodium, blood pressure, and cardiovascular disease further evidence supporting the american heart association sodium reduction recommendations. Circulation, 126(24), 2880-2889. Karppanen, H., & Mervaala, E. (2006). Sodium intake and hypertension.Progress in cardiovascular diseases, 49(2), 59-75. Katori, M., & Majima, M. (2003). The renal kallikrein-kinin system: its role as a safety valve for excess sodium intake, and its attenuation as a possible etiologic factor in salt-sensitive hypertension. Critical reviews in clinical laboratory sciences, 40(1), 43-115. Brown, I. J., Tzoulaki, I., Candeias, V., & Elliott, P. (2009). Salt intakes around the world: implications for public health. International journal of epidemiology, 38(3), 791-813. Appel, L. J., Angell, S. Y., Cobb, L. K., Limper, H. M., Nelson, D. E., Samet, J. M., & Brownson, R. C. (2012). Population-wide sodium reduction: the bumpy road from evidence to policy. Annals of epidemiology, 22(6), 417-425. Whelton, P. K., He, J., Appel, L. J., Cutler, J. A., Havas, S., Kotchen, T. A., ... & Karimbakas, J. (2002). Primary prevention of hypertension: clinical and public health advisory from The National High Blood Pressure Education Program. Jama, 288(15), 1882-1888.